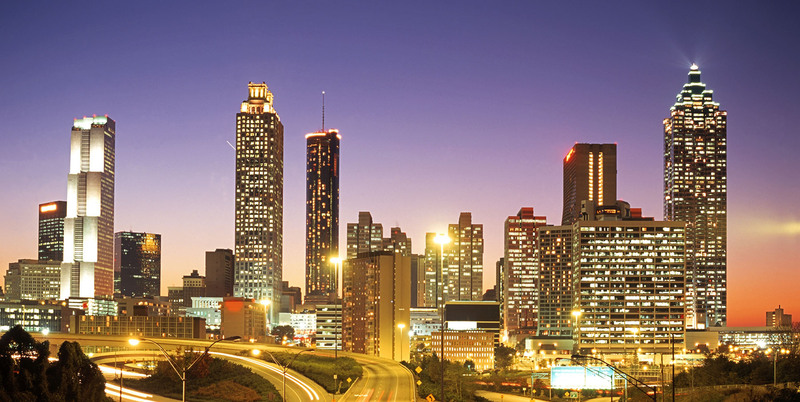 Welcome to Atlanta Chiropractic Group. We focus on treating disorders of the musculo­skeletal and nervous system, and practice a drug-free, hands-on approach to health care. Dr. Alex Mahyar uses proven methods to treat neuromusculoskeletal complaints holistically and naturally. Been in an auto accident? After being involved in an auto accident, we can help you with your medical treatment as part of your personal injury managament. Atlanta Chiropractic Group offer chiropractic using various methods & technology.We use chiropracti-methods & techniques such as Activator Method, Thompson Technique, Diversified Technique. Acupuncture (non-needle, laser, electric) is an ancient oriental healing technique based on the Taoist philosophy of balancing energy meridians within the body, thus allowing the body to heal itself. Atlanta Chiropractic Group offer Massage Therapy such as Deep Tissue Massage, Hot stone massage, Neuromuscular Massage, Sports Massage, Swedish Massage. We offer Therapy using various methods & technology. We use Therapy-methods & techniques such as Cupping Therapy, Disc Decompression, Electro Muscle Therapy, Ultrasound Therapy. Dr. Alex Mahyar is a great and passionate person, helping people find the best way to manage their health challenges. I am an extremely lucky person to have come across Chiropractic Health Clinics. I was in pain and my energy was dragging all the time. Dr. Alex took his time with me, and his team was supportive and dedicated to helping me get better. After a few weekly routine visits my pain and health had gotten much better. I am very happy to have met all of you at Chiropractic Health Clinics. Muchas Gracias! I suffered for 8 years with daily shoulder and neck pain. It had gotten to the point where I couldn’t use my arm at all. I also had a bad knee for some time. Even after so many tests, medicine trails, and injections my medical doctor couldn’t really fix my problem. I learned that I had a herniated disc in my lower spine. The pain made me feel like I was imprisoned within my own body. I watched as my life passed me by – my wife, my kids, my editing career, my hobbies. Finally, my wife and I did some research for another alternative and learned about chiropractic. It seemed like a long shot but I just had to try. Our doctor recommended Dr. Alex Mahyar and I found out why after my first visit. With a few gentle adjustments, I felt relief I haven’t felt in forever! I was so thrilled! I wish someone could have told me years ago. It’s been extremely beneficial to my family’s and of course my own health and well-being. Thanks Alex! I began experiencing some stiffness after I had surgery for a herniated disc. Whenever I tilted my head from side to side or moved too quickly I felt a sudden stab of pain. I had trouble getting work done because the pain would become so intense. Because of the pain I was reluctant to do much of anything. I felt more and more separated from life as more and more medications were prescribed to me. I think I became dependent on them after a while. At least that’s what my friend, Chris, told me when he gave me the advice to see his chiropractor. So I said, “why not?” At Chiropractic Health Clinics I met a great bunch. Supportive as well as informative. Dr. Alex treated me weekly and soon after believe it or not I was able to turn my head from side to side in no time. He also helped me with back and shoulder pain. I continue to see Dr. Alex and his team maybe twice a month now. I just wish it had done it sooner! Dr. Alex Mahyar has been my chiropractor for 4 years now. He helped me with back pain, muscle spasms, and headaches. They started happening after I had gotten in a car accident. Chiropractic Health Clinics has really changed my life. I love it so much that I introduced my entire family to the doctor and warm hearted staff there. Now that I have a baby on the way I look forward to discussing my healthcare needs with Alex. It must have been 15 years I have been suffering with hip problems. It was only a matter of time before I the pain got the best of me and I had to stop dancing, gardening and my wonderful yoga classes. Though the idea of surgery and arthritis medication was tossing around in my head I prayed for better alternative. So I saw a chiropractor, but they couldn’t help me. “Is this the end of happy days?” I thought to myself. My sister was mentioning her wonderful experience at Chiropractic Health Clinics and convinced me that I should give chiropractic another try. I am very pleased to say that I went with her advice and I never felt more alive! Chiropractic care has made me feel 10 years younger. Now I can do all the things I love to do again. Thank you so much. I knew the migraines had taken control of my life. They prevented me from doing my school work and enjoying time with my friends and family and just living. I had them for months. During which, I was prescribed several different medications that only altered my ability to think clearly but didn’t do anything for my headaches. My doctor then sent me to a neurologist who luckily found nothing wrong with me upstairs. But still there was no clue as to what was causing the migraines. My parents, my friends, professors, even my dog was concerned.. I though my head was litterally going to kill me. My father never give up though. He went to everyone for advice and finally spoke with my uncle in Atlanta, Ga. He insisted I see his chiropractor, Dr Alex Mahyar (who is my hero by the way). I said, why not? So we called and scheduled an appointment. It wasn’t long before my headaches began to subside. A-M-A-Z-I-N-G-! A few visits later, the migraines were completely gone! I never felt so free! I can go to school , study and pass my exams, hang with friends and family, and play with Caesar my super awesome Great Dane. I seriously hope that chiropractic becomes a first choice for everyone out there, because it has definitely given me back my life and so much more. Thanks Chiropractic Health Clinics! I have scoliosis and my last chiropractor was not helpful. I still had the pain I originally came to him with 3 years ago. I was referred to Dr. Alex Mahyar by my son-in-law. On the first visit he immediately told me the source of the pain which was only a strained muscle. Unlike my previous chiropractor, Dr. Alex listened to me and helped me get the right kind of treatment to relieve me of my pain in just a few visits. The whole staff is compassionate about their patients’ needs. It’s unbelievable how much I can do now. Thank you Dr. Alex and everyone at Chiropractic health clinics! I am so glad my daughter referred me to Dr. Alex Mahyar. My back and neck pain was ruining my life. My doctors did what they could for years. It was tiring. It helped for a little while but gradually the pain got worse again. My daughter convinced me that Dr. Alex could really help and educated me a little on chiropractic care, and how it’s a better way of natrually healing the body. After seeing Dr. Alex I was amazed at how I couldn’t feel the pain anymore. Lately I’ve been doing activities I couldn’t do for years. So I’d like to especially thank Alex and my wonderful daughter, Deb. 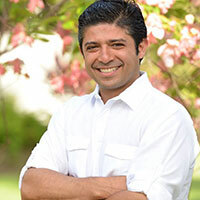 When I first met Dr. Alex Mahyar, I thought he was the kindest and most caring chiropractor I have ever met. He listened with patience and explained everything very clearly. My experience with everyone at Chiropractic Health Clinics was very positive and rewarding.